Though it is not limited to above list, but as per our 10 years experience we can say that they will give the best results among all others available in the market. 1. TV Out Card must be internal. 2. TV Out Card has minimum 512 MB RAM for better performance. 3. TV Out Card must support the TV Format that is required in your country (NTSC / PAL). 4. TV Out Card must have support for DUAL VIEW OR DUAL SCREEN. That means your monitor screen remain free and TV Screen as different screen. That means you have two different screens. That helps to do work while channel is running. Work is done on monitor so viewers not feel any disturbance on running channel. 5. Proper Supported Video Cable must be available. Generally every TV out Card has 5 PIN OR 7 PIN S Video or Composite Video out option. You must use the proper Output Cable to prevent Signal Loss. Now a days as viewers are become more intelligent, knowledgeable & demanding so they generally ask for rich set of channels from their cable operator. It has been natural tradition to start own digital channel using computer and customized software developed by software companies along with some ad hoc hardware. The purpose of this article is to give complete idea and guide to the various cable operators among & outside country for the same. 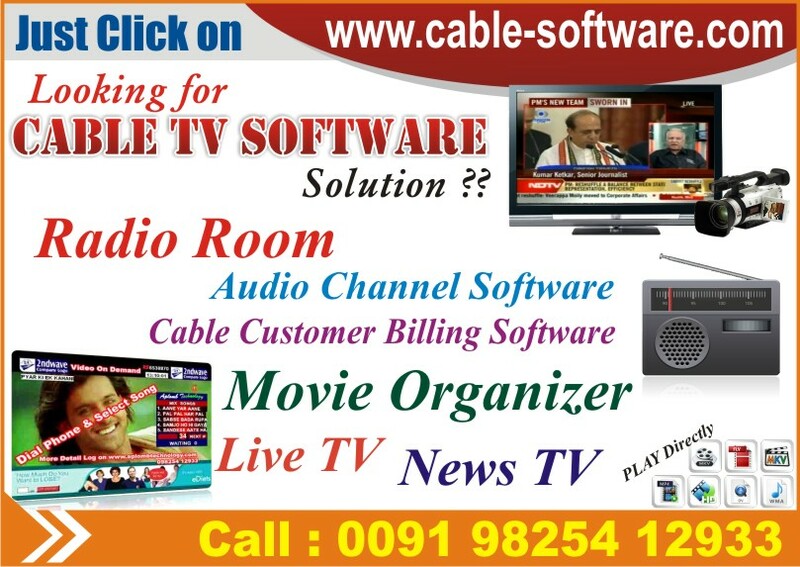 We, Aplomb Technology™, from last 1 decade developing various customized software products for cable operators, MSO etc. and guide them to start their own channel with the best quality possible via some excellent hardware. How to Start Own Channel using Computer, Ad-Hoc Hardware & Software?